Welcome to Animal Bingo, a new twist on a fun, classic game. Preschoolers pick a building card enabling them to construct their animal by collecting the corresponding bricks as they are drawn. As they build the colourful and simple models, they engage in shape and colour recognition and matching. Preschoolers will explore collaborative play as they communicate and work with other children, follow game rules, and take turns. 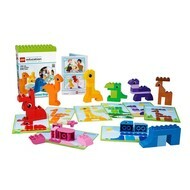 Includes LEGO® DUPLO® bricks for eight separate animals and a special storage container with building plate lid. 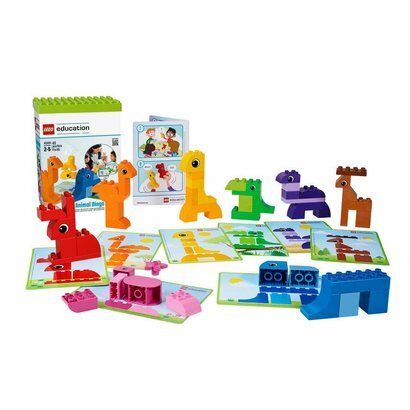 Features full instructions detailing how to play the game and also comes with eight double-sided building cards featuring 16 animal models.